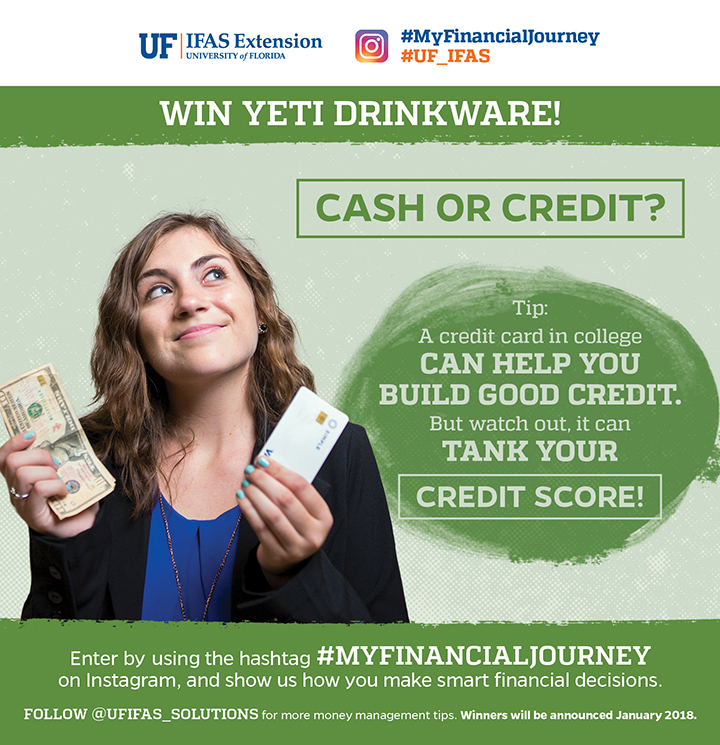 The main goal of the My Financial Journey campaign is to motivate young Floridians to make smarter financial decisions. The best way to reach and motivate this audience is through social media and free stuff. This particular poster was part of a set of three that were posted in UF’s Reitz Union, near the elevators, so they can be seen students navigating the Union. A nontraditional green color was used to help the piece stand out in the sea of orange and blue that exists on most of advertisement displayed at the Reitz Union. Each of the 3 posters has an attention grabbing question and different financial tip to help students make sound financial decisions. The call to action is at the bottom with a social media contest and a Yeti mug as a prize for one lucky participant.